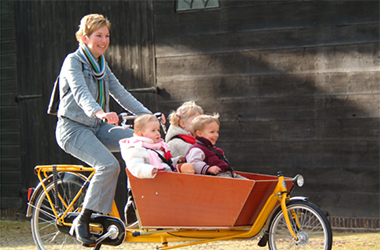 A bakfiets is a cargo bicycle with a box (bak) It is possible to transport cargo up to 50 kg (or more). For advanced riders it is a safe and easy way to transport 2 small children (of – at least – 1 year old) and luggage. We have two 2 wheelers and one small 3 wheeler. Equipped with seat belts and 7 or 8 gears and handbrakes. Your toddler will love this! 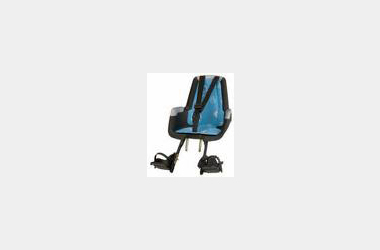 For children who can sit unsupported – 15kg max. Remember to bring sunblock and a hat, do not roast your little one. The Bobike Maxi childseat, for young children to 23kg max. 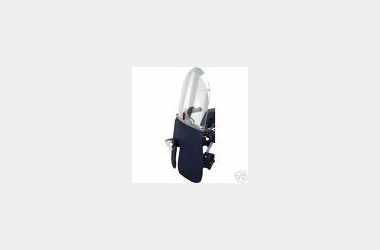 Your child will appreciate this on windy days. 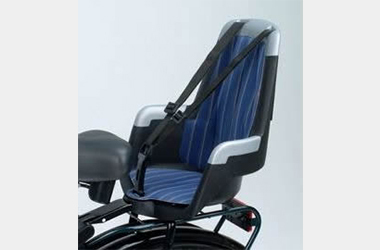 Supplied with a front childseat (when available). Handy basket mounted on the front of the bike. 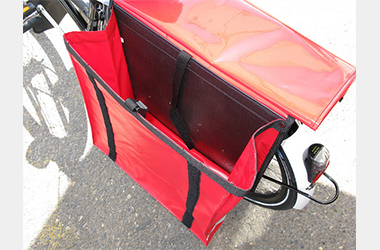 Large waterproof pannier with bags on each side of the pannier. Total capacity of 51 litre. 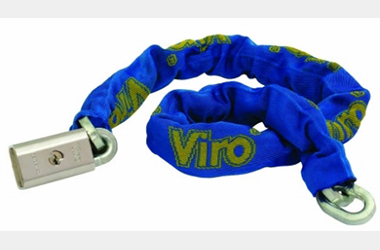 In addition to a standard lock, each rental bike comes with a sturdy chain lock. This is included in the rate. For 1 or 2 small children to a max. total weight of 40kg. Can be collapsed for easy storage indoors. 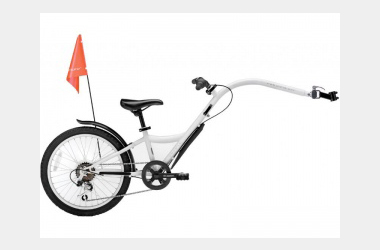 Only available in combination with a rental bike. Please reserve beforehand (by phone) to avoid disappointment. 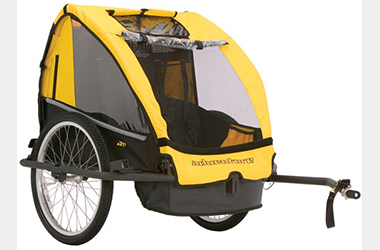 For children with a reasonable sense of balance but too big for a childseat and too small to brave the Amsterdam traffic, the trailer bike is the perfect solution. Kids love it! 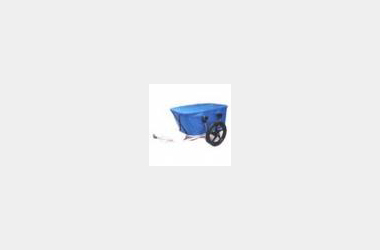 Foldable trailer to transport luggage such as a backpack or tent. Max. 40 kg. Sorry, no pets. Helmets are not mandatory in The Netherlands. 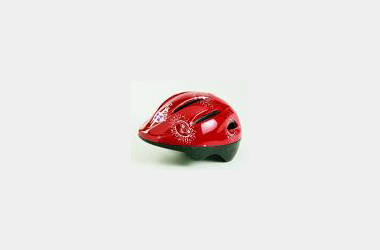 Though – when available – we are happy to provide helmets, for our younger customers only. Free of charge when you rent bikes with us. 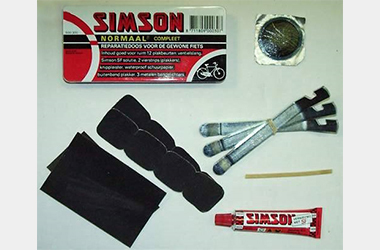 A repair kit is a basic if you plan to cycle a bit further afield and want to avoid the risk of having to walk back. It goes with a bicycle pump.